PASKACHEVAL - Poultice. 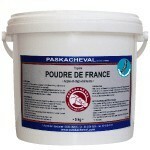 Clay and trace elements - 5 ou 25 kg. 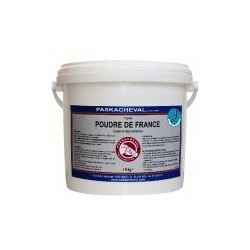 FRENCH POWDER is a clay for external use with trace elements. FRENCH POWDER has astringent and antiphlogistic properties. Apply on clean legs. Do not apply on wounds. Leave act 12 hours (with or without bandages). Weight Seau de 5 ou 25 kg.